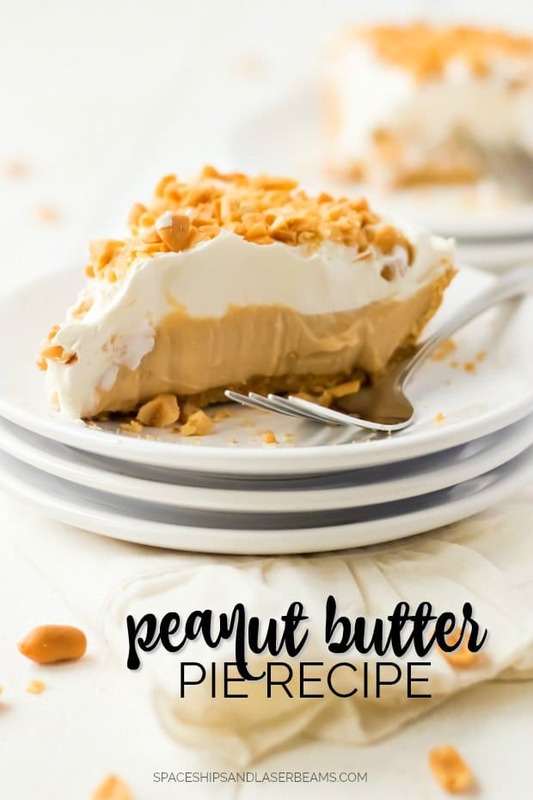 This easy peanut butter pie recipe is my perfect solution to entertaining and impressing last minute visitors. A classic dessert flavor, the best thing about it is that it is no bake. It only needs a freezer to make and keeps in the freezer until this needs to be served. If you love no bake pie, you will also want to check out our jello pie recipe, chocolate pudding pie, as well as our no bake pumpkin pie. 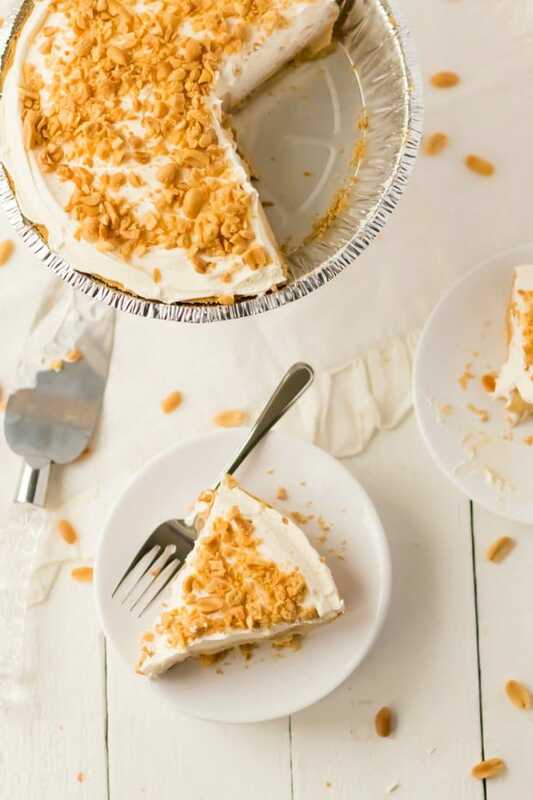 This peanut butter pie turns out delicious every time because it is so simple, it’s impossible to mess up. All I have to do is mix, pour, and freeze! This peanut butter pie has an ice cream-like fillings and crunchy crust that makes even the pickiest of guests squeal in delight. This easy peanut butter pie recipe requires three big steps: mix, pour, and freeze. Be ready to fend off your kids so they don’t try to sneak spoonfuls of filling when you’re not looking…it’s that good. Making the filling mix is a breeze. Grab a medium bowl and cream your peanut butter, cream cheese, and sugar. Make sure it’s well blended and fluffy. Then, add milk and mix to make a creamy mousse-like filling. It should be smooth but still liquid enough to pour. Pour the mixture into your crust and make it level. Whether it’s an oreo or graham cracker crust, both flavors will match perfectly. 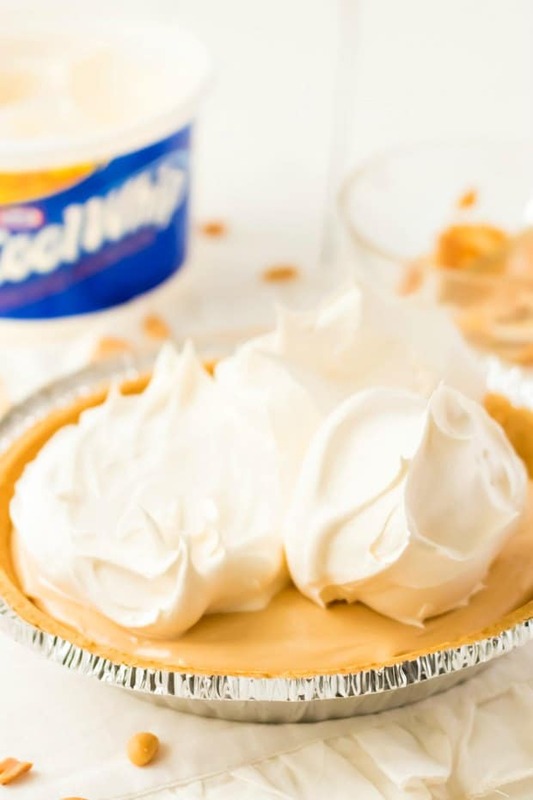 Slather the top of your pie with a generous layer of Cool Whip and garnish with some chopped roasted peanuts. Your pie is now ready to be sent off to the freezer. 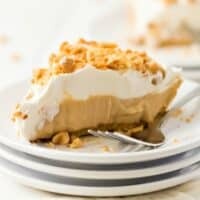 No-bake peanut butter pie only needs to be frozen until it sets completely, which takes about 3 hours. Just keep it in the freezer until you’re ready to serve it! Remember to cover your pie with some plastic wrap before you put it in the freezer. What do you do after your friends leave and you still have half a pie left? Back in the freezer it goes. Just rewrap the rest of the pie with your plastic wrap and put it back in the freezer. It’s that easy. Take your pie out of the freezer and let it thaw for 5 to 10 minutes to the perfect softness before cutting it and serving it up in its frozen goodness. It’ll have the perfect ice cream consistency everyone loves. Serve up a slice with a drizzle of some melted chocolate or melted peanut butter, or caramel for extra sweetness. Top with a sprig of mint to add a bit of freshness, it’ll look like you just bought it at a cafe. 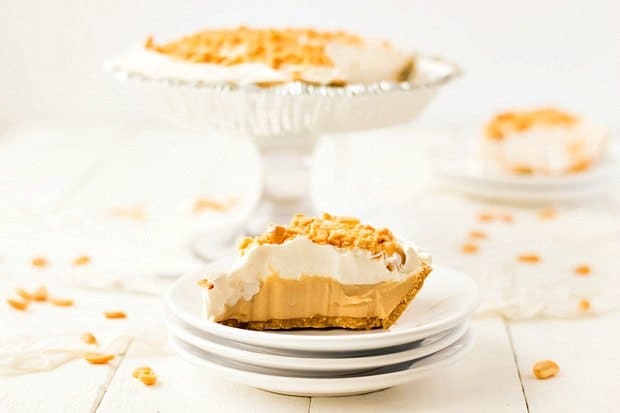 This easy peanut butter pie recipe is the perfect classic dessert for your family to enjoy. Begin by creaming the peanut butter, cream cheese, and powdered sugar. Add milk. Once well mixed, pour into crust. Spread Cool Whip on top. Add chopped nuts if desired. Freeze for 3 hours before serving. You may want to remove from the freezer for 10 minutes before cutting to serve. This is making me drool!! This will surely be a hit! That sounds delicious and so nice and easy! Pinned.